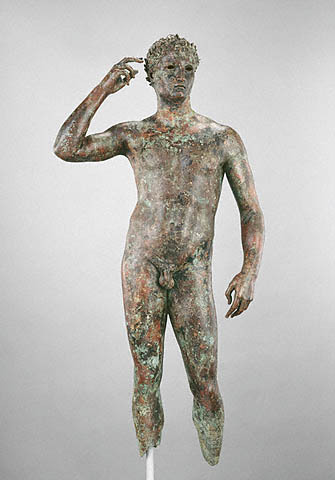 A week after sending its statue of Aphrodite back to Italy, the Getty is fighting to keep another ancient masterpiece: its priceless bronze statue of an athlete, whose 1964 discovery by Italian fisherman is featured in the opening chapter of Chasing Aphrodite. The backstory on the bronze is here. This is what the statue looked like soon after it was hauled from the Adriatic sea by Italian fishermen.